I pretty much gave up on the brow department until several weeks ago...y'know, the wedding news, and I finally jumped on getting the Brow Wiz (shade 'Ebony') AND WHY DIDN'T I DO THIS SOONER? I GET THE HYPE NOW. It's quick enough to use on a daily basis, gives shape and definition to my brows, looks natural depending on how much you blend with the spoolie, AND IT MAKES MY BROWS LOOK RELATED (my left brow is skinnier than the right brow, which means I have to, erm, draw in half my brow to make them look like they belong on the same face). Unfortunately, it's not without its downfalls as 1) it will disappear if you go crazy spoolie-ing ('no-makeup' makeup reduced to no makeup at all), and 2) WHOSE IDEA WAS IT TO MAKE THIS PENCIL THINNER THAN A SPAGHETTI STRAND DO YOU KNOW HOW FAST THIS PRODUCT WILL END UP IN THE TRASH? 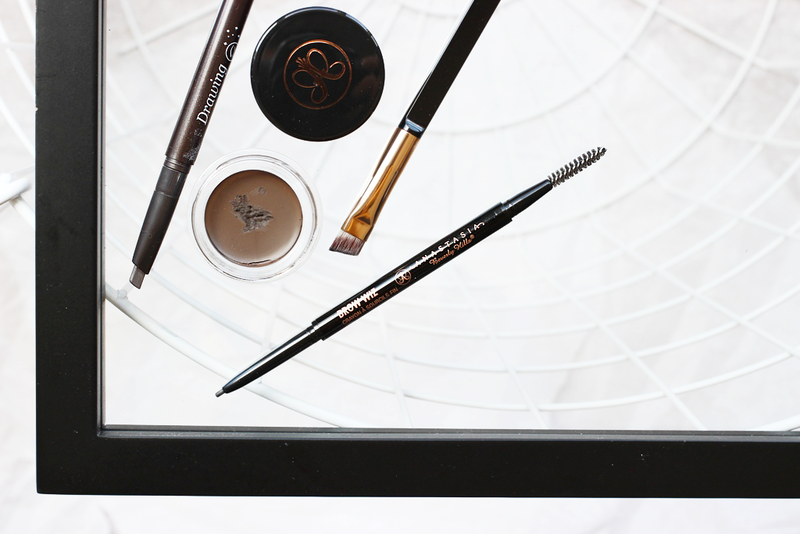 Also, someone please convince me out of buying Hourglass' Brow Sculpting Pencil. That pencil looks DIVINE BUT THREE SHADES, HOURGLASS? REALLY?